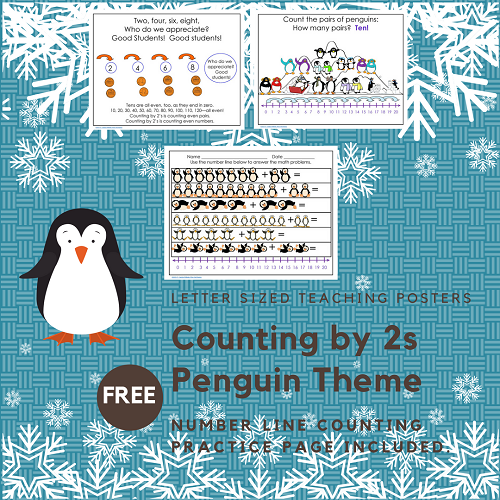 This post has a free printable counting by 2’s with penguins. 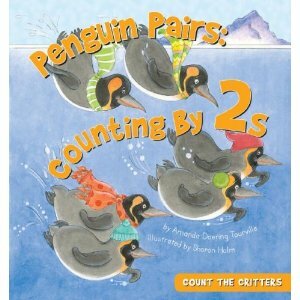 The book Penguin Pairs: Counting by 2s by Amanda Doering Tourville, and illustrated by Sharon Holm, could be used with this activity. 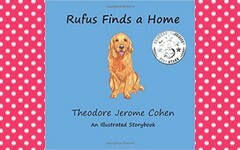 This book is part of the clever Count the Critters series. 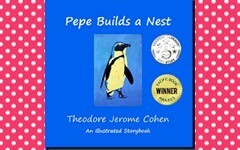 The book can be used as the anticipatory set for counting by 2s as two additional penguins appear in each additional picture. 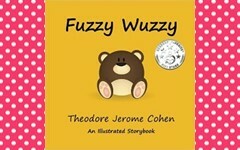 A counting line at the bottom of each page shows what is happening in the illustrations. 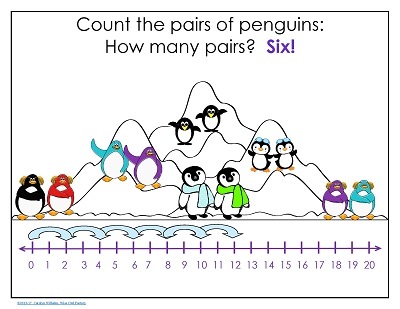 For children who do not understand the use of counting lines, this is an engaging way to help explain them. I was inspired to make a freebie showing the same thing for teachers to have on hand in the classroom for quick use. 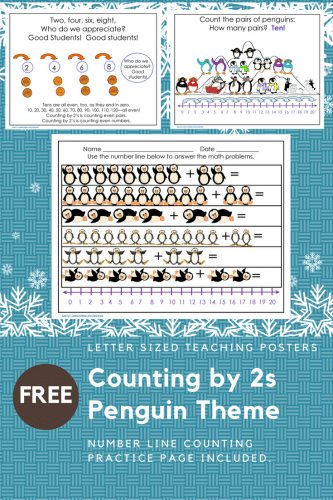 This freebie shows counting to 20 by twos. Watch the number line on the bottom of the pages to see what is happening! There is one worksheet and answer key included. Download your copy by simply clicking on the link below! 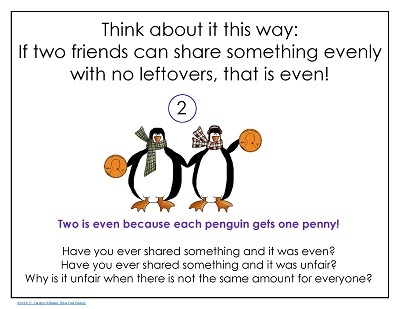 First, the printable will help support a discussion of even and odd numbers as one of the reasons people count by 2’s. The printable includes some letter-sized teaching posters for small and large group discussion. They could be used in a tutoring situation, as well. Then, students can visually see counting by 2s in some posters. 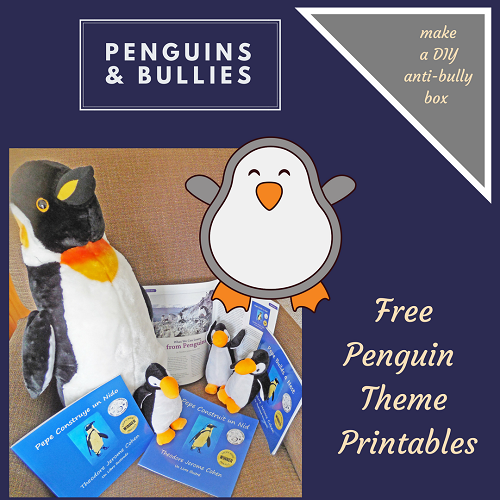 See how I made “matching” penguin pairs to help illustrate the idea. Finally, there is a page with number lines for guided student practice. An answer key is also provided. 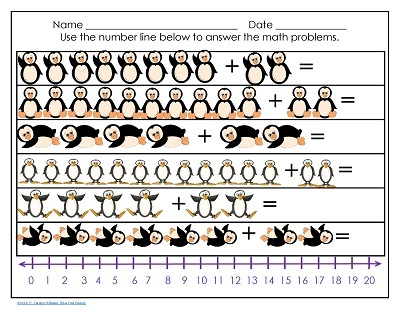 Penguins are so popular with kids! I’m saving this– mine will be ready for it very soon! Thank you! !